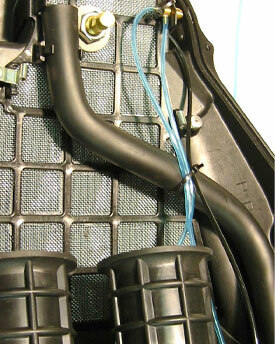 Nitrous bottle pressure is determined solely by bottle temperature, not by the amount of nitrous in the bottle. 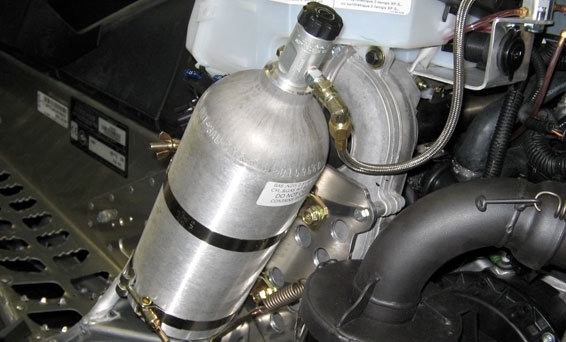 As the temperature increases, the pressure increases, and this pressure change causes an undesirable change in nitrous delivery when using a fixed nitrous jet. We have addressed this problem with our patented flow regulating nitrous nozzle which changes jet size with bottle pressure, maintaining an essentially constant nitrous flow over a wide range of nitrous bottle pressures. 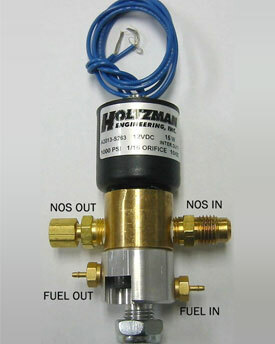 This nozzle is especially suited to snowmobile applications where nitrous bottle pressures can be as low as 300 PSI but can rise to 900 PSI after the sled is warm. We manufacture air box (AB) nozzles which spray a fan pattern into an air box, or direct spray (DS) nozzles with a conical spray pattern for filters or open throttle bodies. Because our nitrous nozzles provide constant nitrous flow even with changes in nitrous pressure, we build our nozzles based on nitrous flow rate (grams/second). 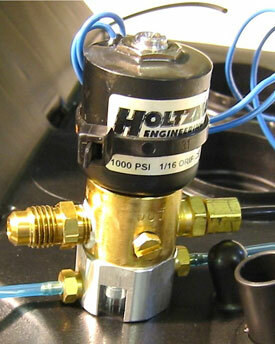 We also manufacture our patented combination nitrous and fuel solenoid. Nitrous pressure opens the fuel valve, therefore providing efficient, reliable operation, and its convenient mounting stud simplifies installation.